This is something that I've been looking into for a while now and have already made a start with my shiny new website but the subject of branding and especially packaging is something I'm still trying to make a decision on. I want to be a "eco" as I can with the way I box and package my jewellery, to match the way I work when I'm making it, but here lies a conflict! It still needs to look beautiful and ooze quality (just like my jewellery, heehee!) but I'm yet to find recycled/eco friendly boxes that I really feel fit that brief. I think I may have found my answer today, but I'm not revealing anything until I have the samples. So, the purpose of today's post.........I would be really interested to hear your views on how you think a special piece of jewellery, such as an engagement ring like the one pictured below should be packaged or if you think the packaging matters at all? Wooden Ring Box - I quite like these but they're imported and not very original looking. 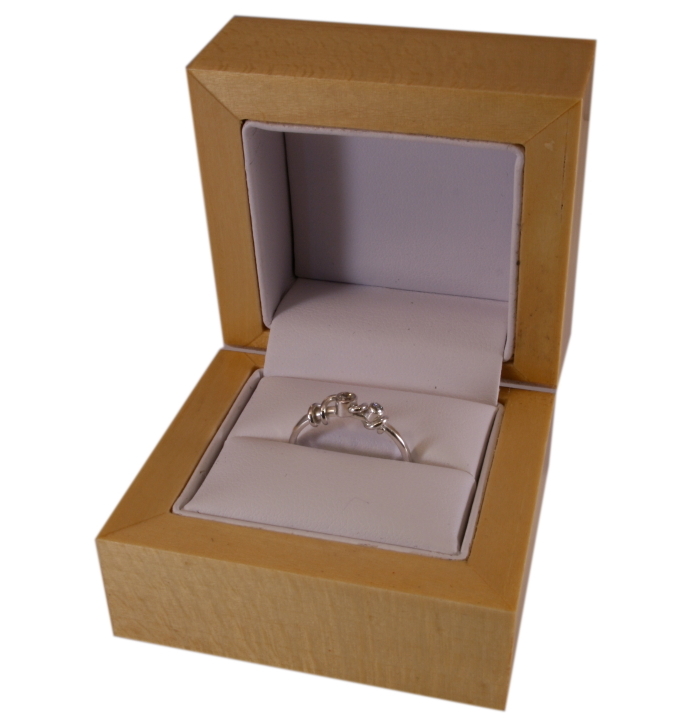 Recycled Cardboard Ring Box. These are fine for less expensive items but I just don't think they present a wedding or engagement ring as well as it should be. I know this is a new blog so I'm not expecting hoards of replies, but if anyone can spare a couple of minutes to add their opinion in the comments box, it would be very much appreciated.